Clothes Without Accessories . . . In my post this past June, I wrote about adding accessories to your style ensemble. The wonderful (or not so wonderful) thing about accessorizing is, there are endless possibilities. With endless possibilities, there is always a chance of going a bit overboard. This is when one takes a step back and makes an assessment of what truly works. One thing that will always work especially during the Spring, Summer and early Autumn are nato straps. The British Ministry of Defence introduced the nato strap as an alternative to the standard watch band. As with most things, there is always some kind of crossover. For example, camouflage has crossed over into men’s fashion. But I reserve camo for the shooting range or for the young hipsters who have the moxie to pull it off most excellently. As for the reader, I highly recommend getting a few of these. Arguably the best thing about nato straps is you purchase one one watch then scour the world wide web for straps. Nato straps come in many varieties as well as price points. Finding a watch that fits your budget is just as easy. In the featured picture, one will see the iconic Timex Weekender and a Stührling Original Regatta. 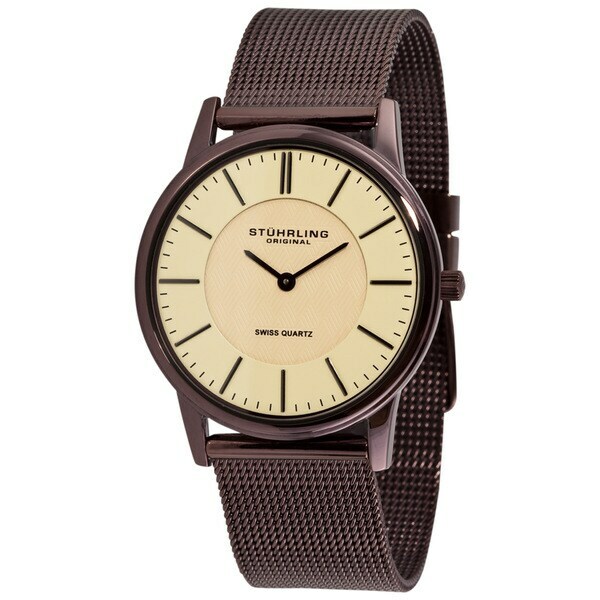 I paid $26.28 for the Timex and $51.12 for the Stührling Original on Overstock.com. Timex are well, timeless. I own two Weekenders (a Weekender Forty Chrono), a Timex Fairfield and a T Series with a mother of pearl face. Stührling Originals are underrated. I love my Regatta as well as my Newberry Ultra-slim. I did a lot of research on the brand as well as Invicta. According to The Gentleman’s Gazette author J.A. Shapira, Max Stuhrling was a master watchmaker who worked under Louis Audemars of Audemars Piguet. If you have the money to spend on a Audemars, by all means go for it! If you don’t have the money to spend, there are a plethora of options for one to look at with the aforementioned being 3 of them. For the record, just about every watch company imaginable has some kind of nato strap style watch. One thing you must be cognizant of is the size of the wrist band when you do buy additional straps. For example, the Timex Weekender pictured comes in at 20mm. The Stührling Regatta in the featured picture comes in at 22mm. Purchase the correct size (online) or you’ll be waiting impatiently for the return. Of course, this is where I plug in my go to, Ebay. The straps in the featured pic as were found and purchased from Ebay. I paid under $9.59 for each strap with the lowest costing me $7.95. I may have found them cheaper but the shipping was free through this vendor. Sometimes, there is no guarantee you will find free shipping through another site. The shipping charge would pretty much off-set the lower price of the strap. There is an endless assortment of color combinations as well as just a straight color band. One can match shirts to straps, belts to straps, pants to straps, pocket squares to straps, wear a suit and go off script with a coordinated nato strap and the list goes on and on! In my humble opinion, look at the color palette of your wardrobe as a starting point and figure out what you would like to match. Your foundation should be strong enough for one to see what works and what doesn’t work. As always, experiment until you pinpoint the style you are trying to convey to the world. And if nato straps aren’t your cup of tea, no worries. At the end of the day, you are the one who has to be happy with the style you are creating for yourself. Until next time, jal ga! Previous Article: Nothing Makes A Woman Look So Old . . .
Next Article: It’s Weird, When Autumn Comes . . .